Right this minute, behind closed doors, at the University of Minnesota, primates are slowly dying in small steel cages, in pain and without hope. For years on end they are held captive and continually subjected to painful and frightening experiments, coldly referred to as "drug studies." 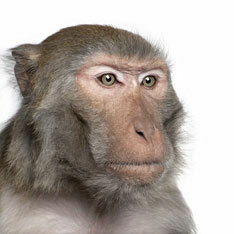 Researchers torment these creatures in an attempt to find answers to questions that they should be asking generations of addicts and alcoholics, not non-human primates. The social and emotional causes of addiction simply cannot be replicated in a laboratory amongst creatures forced to live in completely unnatural environments who have been forced into addiction. We are addicts, former addicts and people whose loved ones have struggled with addiction - those for whose supposed benefit these unnecessary and sadistic experiments are being performed. In other words, they are torturing these beings in our name, but we are here to say "No more". Copyright © 2011 Animal Rights Coalition. All Rights Reserved.